Western states’ policies were responsible for the attacks by Paris gunmen last week, Syrian President Bashar Assad told a Czech newspaper, adding that countries should share intelligence concerning terrorism. Assad reiterated his condolences to the families of the 17 victims of the terrorist attacks in Paris in an interview with Czech newspaper Literarni noviny, excerpts of which were published by state SANA news agency on Wednesday. However, Assad reminded that Syria has been addressing the West and “talking about these repercussions” since the conflict in Syria began in 2011. “We have been saying, you shouldn’t support terrorism and provide it with a political umbrella, because this will reflect on your countries and your people. 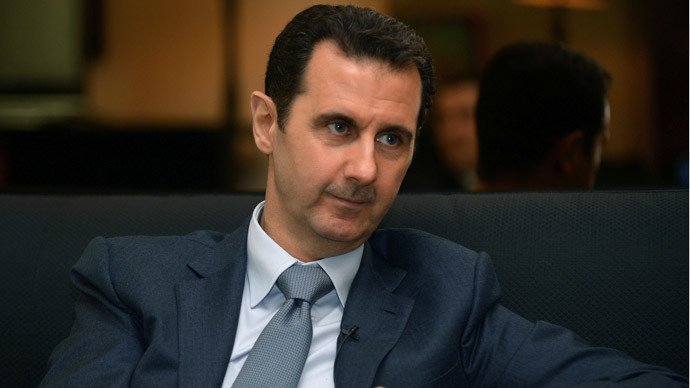 They didn’t listen to us,” Assad said. Assad urged western nations to fight terrorism with “good policies” and share intelligence. “We should fight ignorance with culture and education, should build a good economy to fight poverty, and there should be an exchange of information among the countries concerned with fighting terrorism,” he said. Assad, who has a medical background, compared terrorism with cancer, saying that you should extract it. “The problem cannot be addressed in the way they addressed it in Afghanistan, I mean what they did in Afghanistan in 2001. A group of Congressmen visited Damascus at that time and they were talking about invading Afghanistan in revenge for what happened in New York earlier. The Paris shootings have prompted tens of thousands to take to the streets in France and other European countries showing solidarity with the victims. The attack on the Charlie Hebdo magazine offices was triggered by cartoons published earlier by the satirical left-wing paper that portrayed the Prophet Muhammad. Meanwhile, on Wednesday a record 3 million copies of the magazine’s new edition – the first after the shooting – appeared on French newsstands, with new caricatures triggering outrage among Muslims all over the world, and threats from radical Islamists.